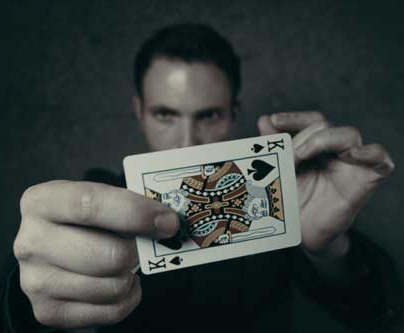 Born on 25 October 1982 in Cape Town, South Africa, Larry Soffer always dreamed of becoming an international star in the fascinating realm of magic and mentalism. Inspired by the artistry, charisma and showmanship of David Copperfield, Larry, only 13 years of age, enrolled at the College of Magic in Cape Town. Four years later, he graduated with a Silver Medallion, the highest accolade bestowed by the College. His childhood dream was becoming a reality. In a bizarre twist of fate, Larry discovered that a numerological ordering of the letters of his name mean ‘The Magician’ – motivating him even further to succeed. These guys from Rolling Audio are the real deal!!! I have used them for events and they always deliver a superb service and have an awesome setup. Rolling Audio made my daughter's 7th birthday an absolute hit!!! We had a Halloween theme, the smoke machine and lights turned our very ordinary lounge into a super scary dungeon!